Looking for movie tickets? Enter your location to see which movie theaters are playing Paul Blart: Mall Cop 2 near you. Which movie's right for you this weekend? Child 44? Monkey Kingdom? 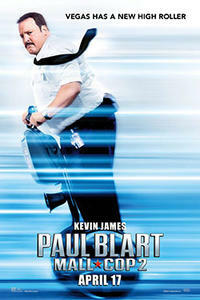 Paul Blart: Mall Cop 2? Unfriended? Fandango Chief Correspondent Dave Karger breaks them down with a little help from the cast of Unfriended.